Greece, Mediterranean Sea. 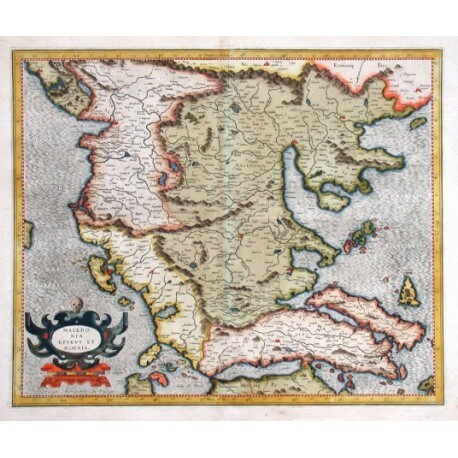 "Macedonia, Epirus et Achaia". 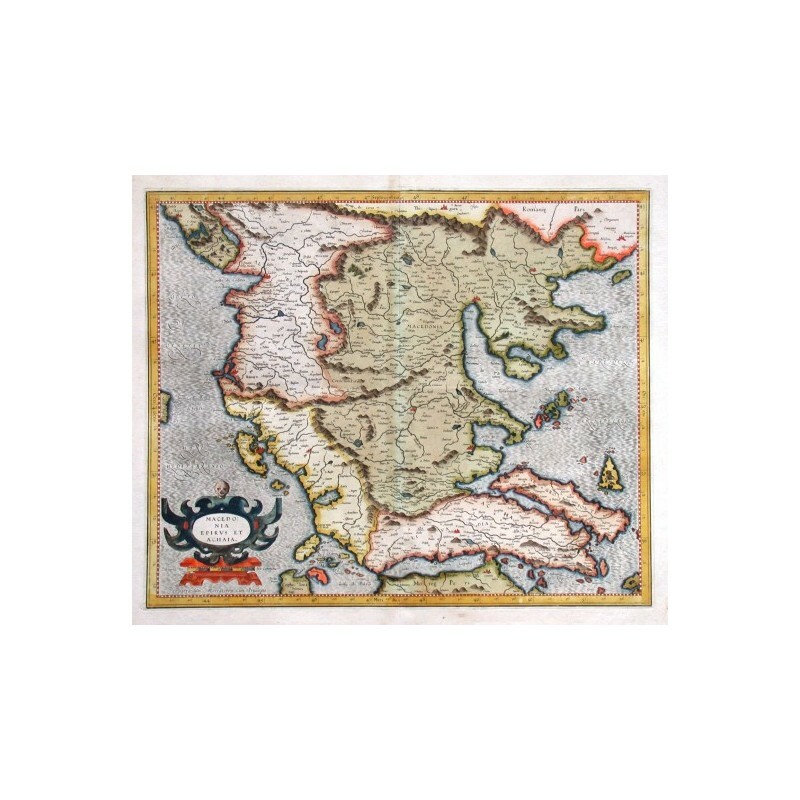 Copper-engraving by G. Mercator (from Mercator's atlas, 1589-1595). Original old colouring. With col. ornamental cartouche. 36:43,5 cm (14 1/4 x 17 inch.). Koeman I, Map 7830:1.1, Ed. 1:002/11 (1589-1595) - first edition. - A map of southern part of Albania and central part of Greece.